As most Linux users should know, wine allows Windows applications to run on Linux. Please note that wine is not an emulator. WINE = "Wine Is Not an Emulator". Saying that wine is an emulator of Windows would be the same as saying that DirectX is an emulator of DirectX, or even saying that the implementation of the OpenGL on NVIDIA drivers is an emulator of OpenGL. Wrong! Wine is actually an implementation of Windows API in Linux. A compatibility layer. Basically it reads the Windows executables and DLLs, and converts their calls to Linux native calls. 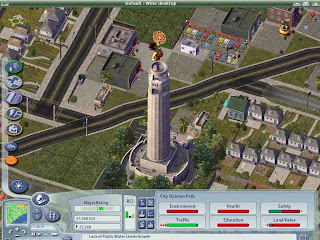 As most Linux users should also know, there are few games developed natively for Linux. 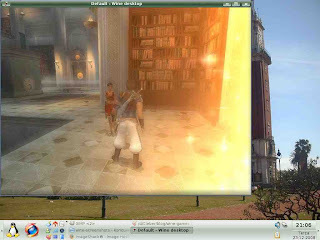 However, one of the biggest advantages of wine is that it brings its own implementation of DirectX, compatible with Micro$oft's DirectX. This means that many, many games originally made for Windows will run on Linux. 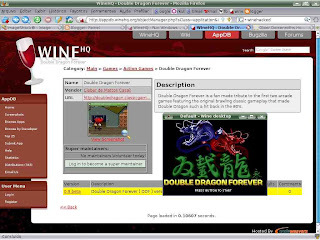 To find out if a certain game works well on Linux, just look for it here: http://appdb.winehq.org (Wine Application Database). 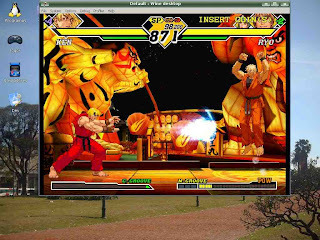 It's also useful to find tips, sometimes necessary to run some games. Well enough talk, and check out 10 of the games that I like to play with wine, with screenshots and everything. Note: I am using Kubuntu 8.04, and wine 1.1.10. Command & Conquer Generals. This one needs hacked wine (http://www.oliverdeisenroth.de/index.php). This is a special version of wine with some patches that have not yet made to the main tree, such as support for animated cursors. 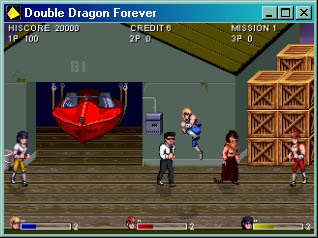 Double Dragon Forever 0.9 beta. You may say: "This is self promotion!" Of course it is! Download it here! Como a maioria dos usuários de Linux deve saber, o wine permite que aplicativos feitos para Windows funcionem no Linux. Notem que o wine não é um emulador. WINE = "Wine Is Not an Emulator". Dizer que o wine é um emulador de Windows seria o mesmo que dizer que o DirectX é um emulador de DirectX, ou mesmo que a implementação do OpenGL nos drivers da NVIDIA é um emulador de OpenGL. Errado! O wine é na verdade uma implementação da API Windows no Linux, uma camada de compatibilidade. Falando de forma grosseira, ele lê os executáveis e DLLs do Windows, os interpreta, e converte as suas chamadas para chamadas nativas do Linux. Como a maioria dos usuários do Linux também deve saber, existem poucos jogos desenvolvidos nativamente para Linux. Porém uma das maiores vantagens do wine é que ele traz consigo sua própria implementação do DirectX, compatível com o DirectX da Micro$oft. 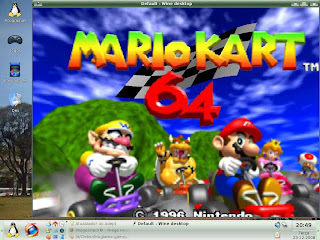 Isto significa que muitos e muitos dos jogos feitos originalmente para Windows funcionam no Linux. 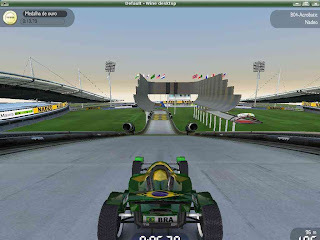 Para saber se um determinado jogo funciona bem no Linux, basta procurar por ele aqui: http://appdb.winehq.org/index.php (Wine Application Database). 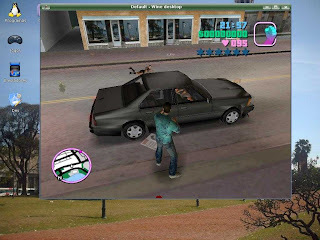 Também é útil para encontrar dicas, muitas vezes necessárias para rodar determinados jogos. 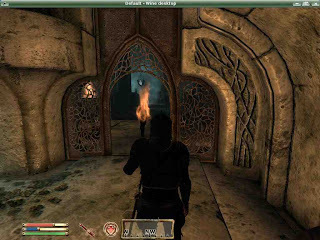 Bem chega de blá-blá-blá, e vejam 10 dos jogos que eu gosto de jogar com wine, com screenshots e tudo. OBS: Estou usando aqui o Kubuntu 8.04, o wine 1.1.10. 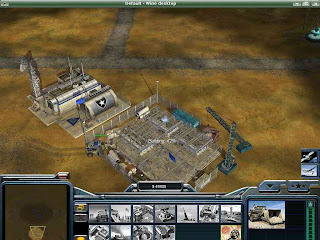 Command & Conquer Generals. Este aqui precisa do hacked wine ( http://www.oliverdeisenroth.de/index.php ). Trata-se de uma versão especial do wine com alguns patches que ainda não chegaram na árvore principal, como por exemplo o suporte a cursores animados. 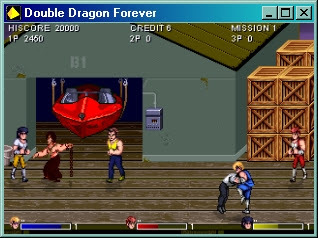 Double Dragon Forever 0.9 beta. Mas você pode dizer: "Isto é auto-promoção!" Mas é claro que é! Baixe ele aqui! MultiJoy Plugin pode ser comprado on-line com PayPal por apenas US$ 10,00. Enviando o pagamento você o reberá por email. O preço é justo, e ele vai me ajudar a continuar a trabalhar neste plugin e também em outros projetos que poderão ser úteis para a comunidade DarkBASIC. Todos os usuários registrados receberão gratuitamente as atualizações, e eles têm permissão para utilizar o plugin em seus programas gratuitos ou comerciais. Como vocês podem ver, estou retomando meu trabalho nesta página. Postarei artigos principalmente sobre jogos, Linux e wine. 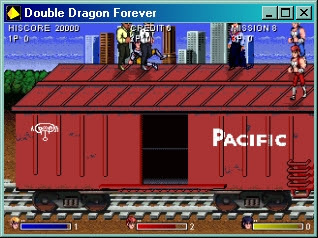 Além disso, vou dar informação atualizadas sobre os jogos que estou desenvolvendo, incluindo a continuação de "DarkPhear" (ainda sem nome), e o fangame quase acabado "Double Dragon Forever". MultiJoy Plugin can be bought online with PayPal for only $10. After you send the payment you will receive it by email. The price is fair, and it will help me continue working on this plugin and also other projects that may be useful for the DarkBASIC community. All registered users will get free updates, and they are allowed to use the plugin in their free or commercial programs. As you can see I'm resuming my work on this page. I'll be posting articles, mostly about games, Linux, and wine. Also, I will give updated information about the games I'm developing, including the upcoming "DarkPhear" sequel (no name yet), and the almost finished fangame "Double Dragon Forever".